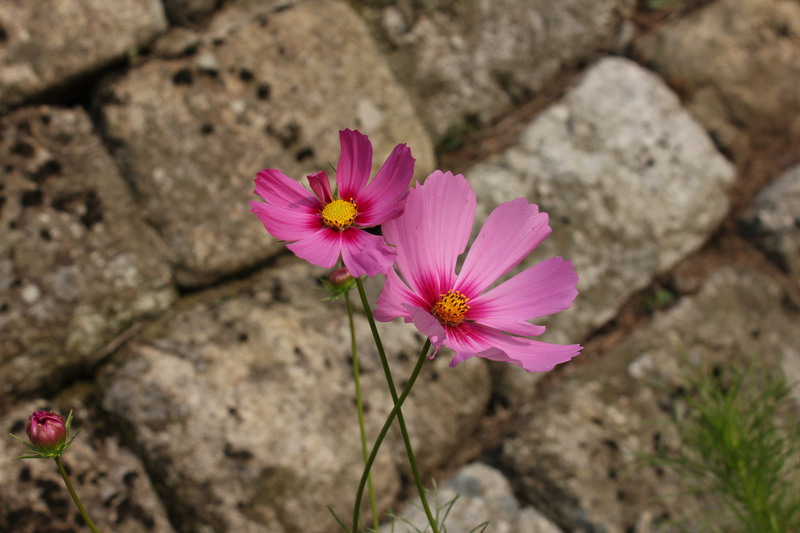 Saturday night Brittany and I went to Itaewon to get some burgers and (finally) quality beers. 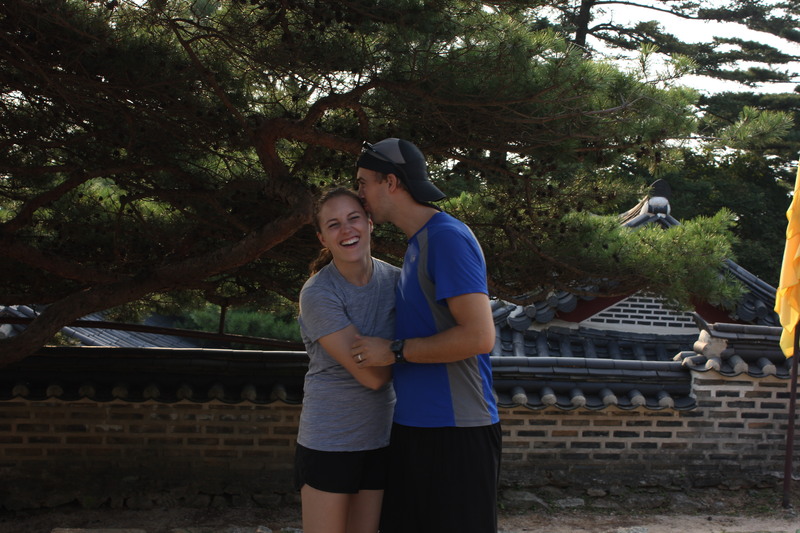 After drinks and bingsu (shaved ice topped with red beans and fruit), we got on the subway to go back to Gaerong Station. Realizing we had gotten on the wrong train, we got off and waited for the next one to come along, and who should we see sitting right next to the door of the car we walk onto but one of the 10 out of 10 million people that we know in Seoul, Gabriel, a Korean teacher at our school. 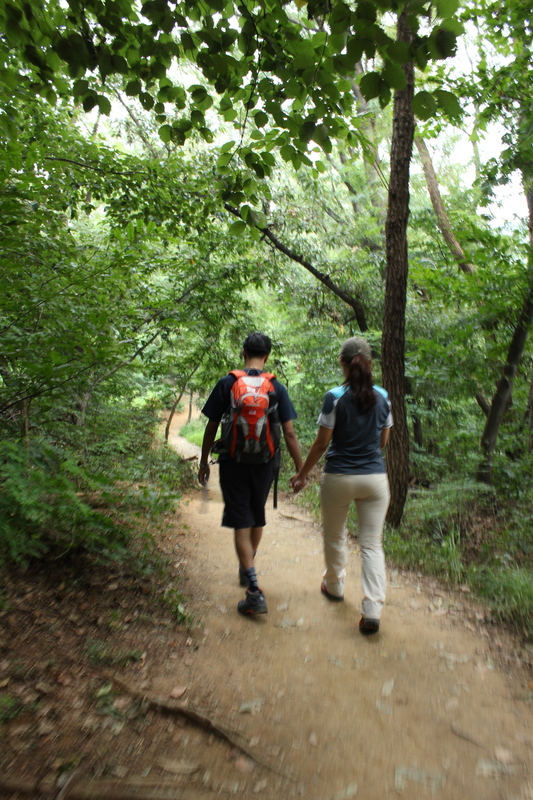 Before parting, Gabriel asked us to join him and his girlfriend for a hike the next day. 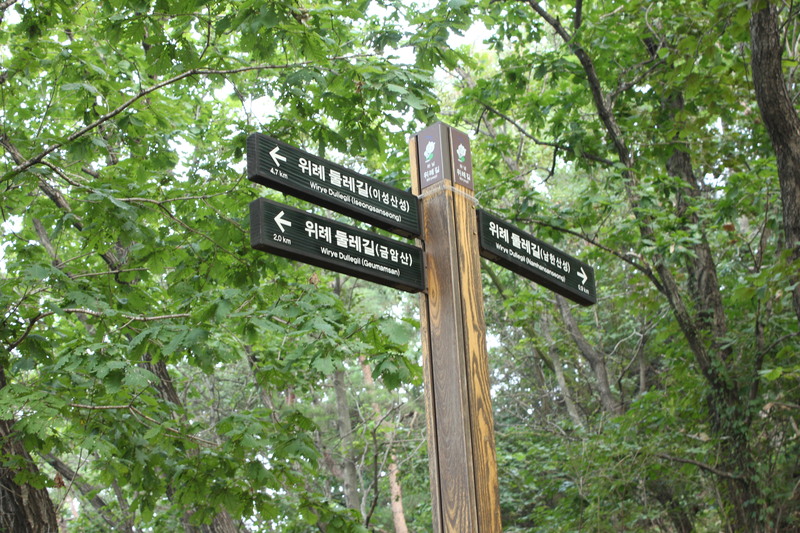 For Koreans, hiking is serious business. 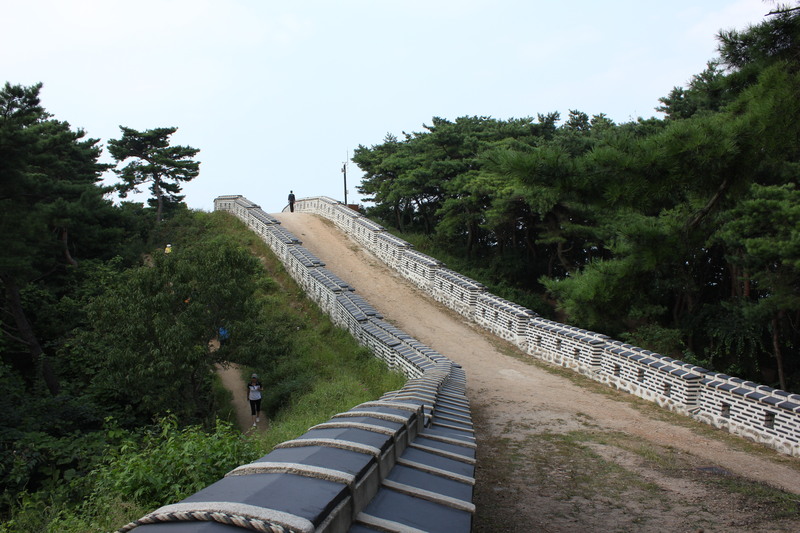 Namhansanseong isn’t a particularly rigorous hike. 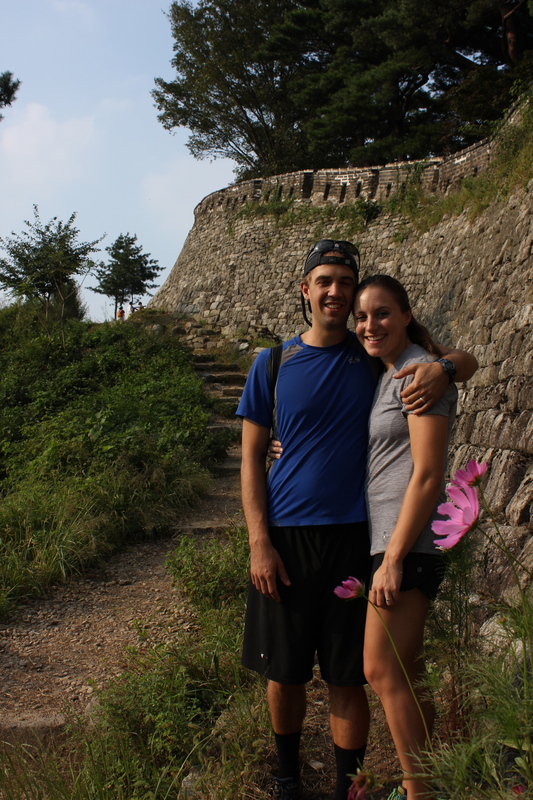 It’s a 4 km walk with a couple of steep inclines, but mostly pretty smooth terrain (for fellow Coloradans it can be likened to any short day hikes in Chautauqua), but that doesn’t stop Koreans from having all the fun of preparing for an all out adventure on the mountain. 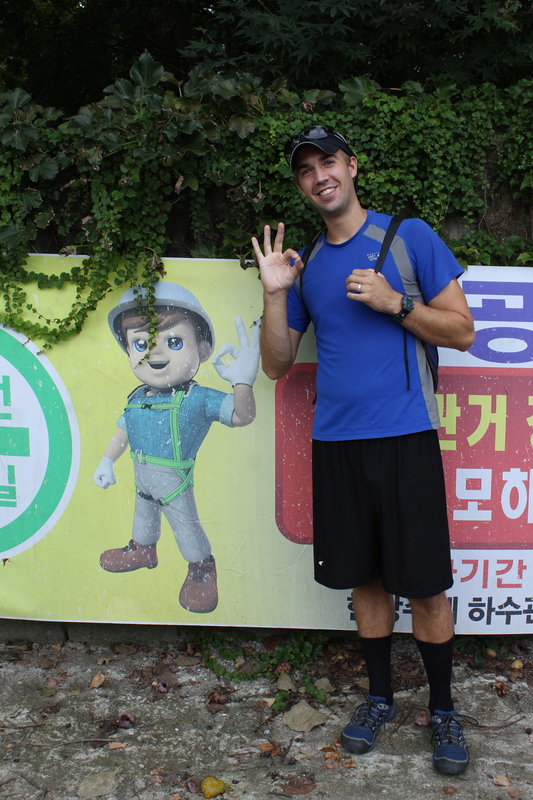 Throughout the city and on any of Seoul’s fairly short hikes, you will see people dressed in the latest and brightest hiking clothes, along with backpacks stuffed with amenities for just about any imaginable situation that can arise. The casual short walks look like serious expeditions. When Gabriel asked the night before if we had hiking boots, I showed him my lightweight sneakers. Eyeing them suspiciously, he said that they should work, and as it turned out Brittany and I were the only two without around-the-ankle, heavy-duty boots. 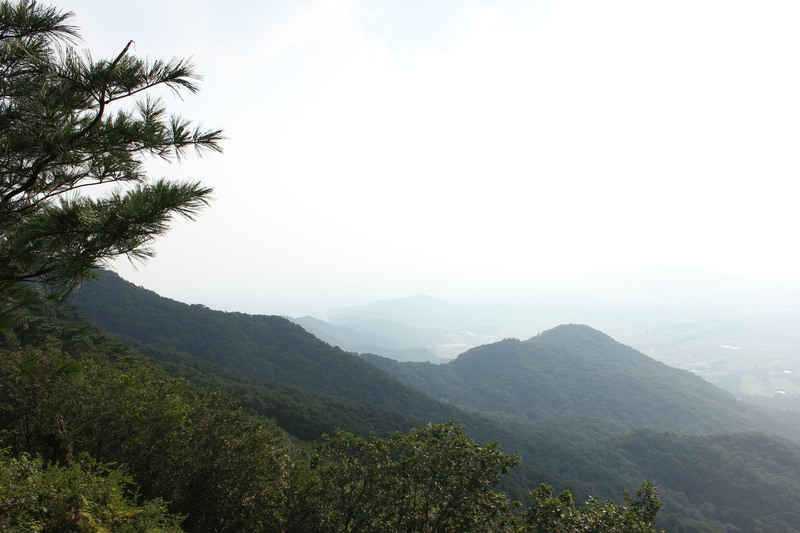 The hike itself is a lavishly green trail and a beautiful climb. 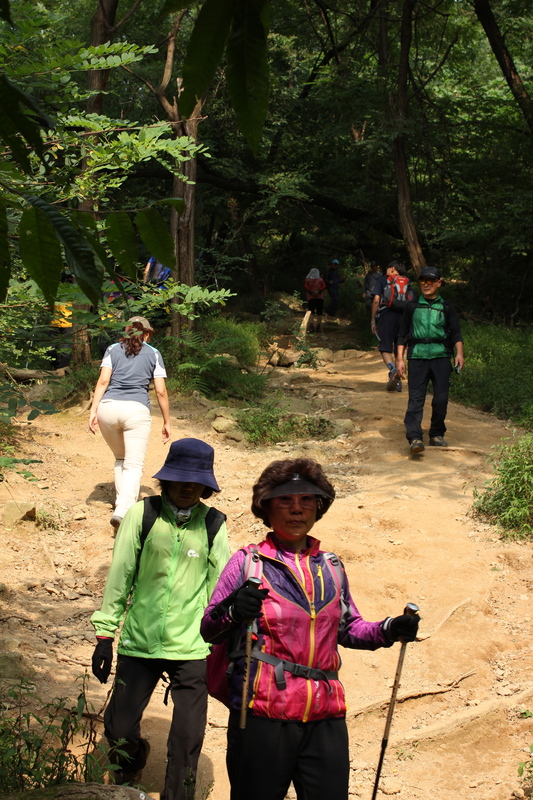 Hiking is enormously popular in Korea, and since we went on the weekend, there was a pretty solid line of people going up. 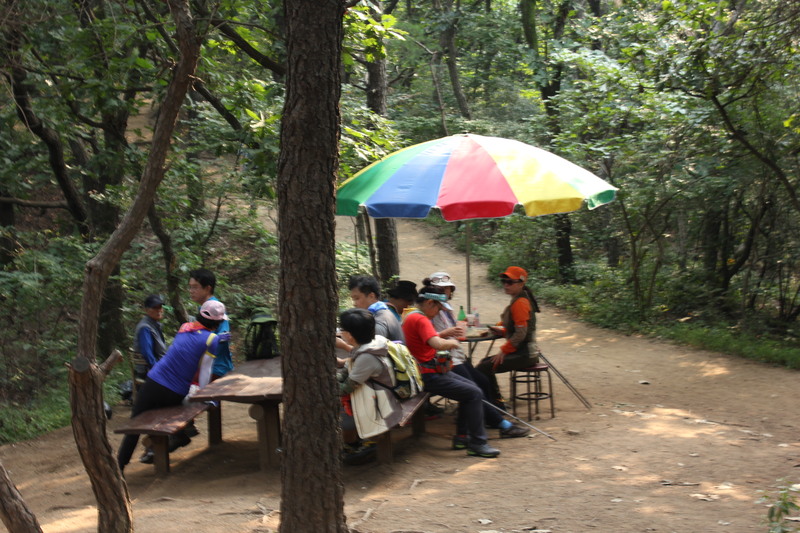 About half way up we found conveniently placed picnic tables with rainbow umbrellas and a friendly man selling red bean popsicles from a cooler. We stopped here for some excellent and mysterious sandwiches brought by Gabriel and then carried on to the top. 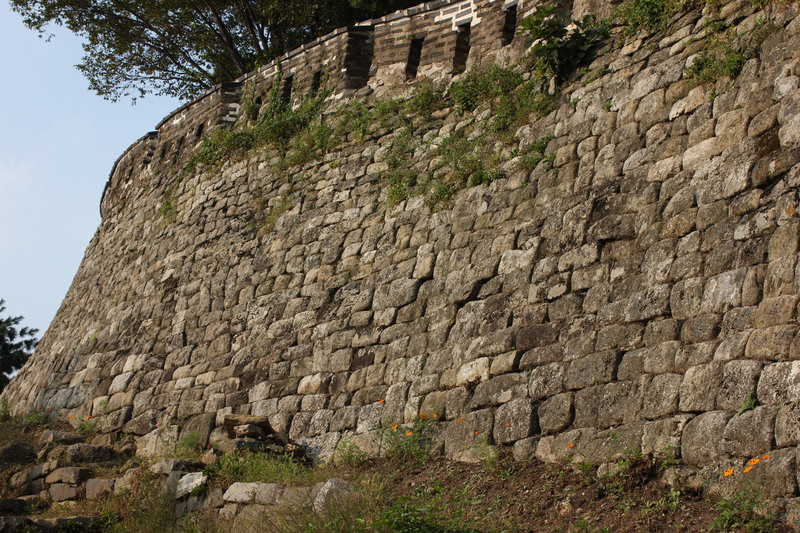 Namhansanseong translates to “South Han Mountain Fortress” and has been an important defensive post for hundreds of years. 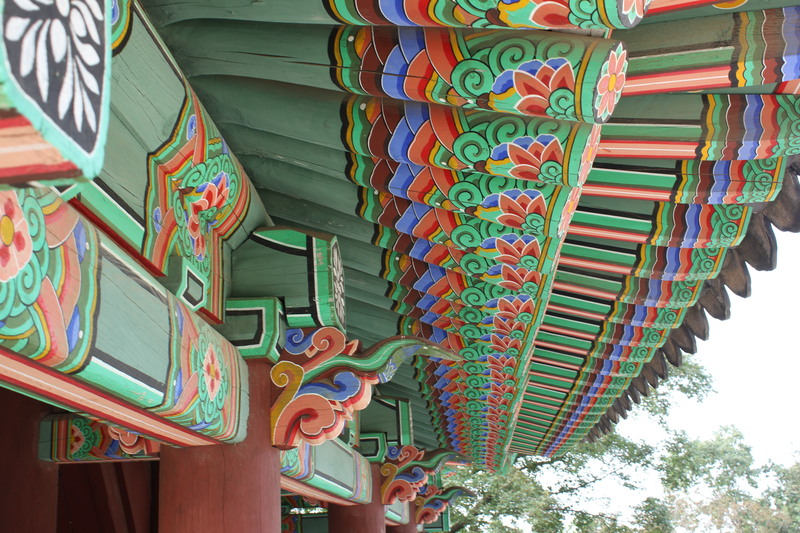 Namhansanseong has been used both as an outpost for imperialistic military designs as well as protection for Gwangju, the capital of a dynasty that dates back 1100-700 years. 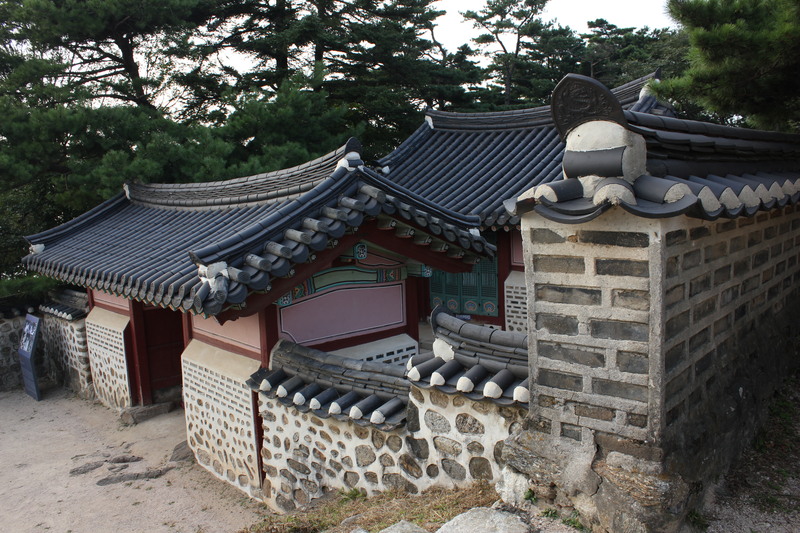 The wall seen at the top dates back to the 18th century and has a number of pavilions and temples along the walk across the top.